HighFields - a development of 41 two, three and four bedroom homes coming soon to Clowne, near Chesterfield. 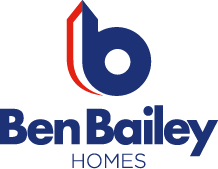 This development is the first from Conroy Brook's new sister company Ben Bailey Homes. The two companies have a longstanding connection - both have a long and successful heritage in the housebuilding industry, and a number of the team at Conroy Brook previously worked for Ben Bailey Homes, including Sales Director Jon Bailey (grandson of the original Ben Bailey who founded the company in 1933).